Dead Rising 2 came out in 2010, which probably means it’s retro, or something of the sort. I’ve been playing a copy of the Xbox 360 version, although you can also play it on current generation consoles via digital download. The question of course is whether you should. I recently decided to cut back drastically on new games buying for at least the rest of the year (which means, yeah, no Spider-Man or Red Dead Redemption 2 for me… yet), and one of the first games I spotted on my gaming shelves was Dead Rising 2. The fancy “Zombrex” edition of the Xbox 360 version, which I’d picked up second-hand, largely because my PS3 copy had gone MIA. It’s since reappeared, but I hadn’t been back to Dead Rising since I’d found DR3 to be a rather bland experience. If you’re not familiar with the franchise, Dead Rising is (more or less) George Romero’s “Dawn of The Dead”, but in videogame form, and with a slightly more comedic tone. The first game in the series was a love-it-or-hate-it affair thanks to the way it uses the game over screen, plus some notable difficulty spikes. It was also one of the very first games that put the divide between folks using CRTs and at-least-720p-capable LCD TVs starkly, because on an SD screen, the ingame text was totally unreadable. Still, zombies and shopping malls aside, Dead Rising’s most contentious gameplay element was that you were playing against a time limit, and when you failed, you could either reload your last save or start the whole affair again, but with the levels you already had. The difficulty curve was such that without prior knowledge of the missions and boss fights, it was all but impossible to complete it in a single sitting. Even so, getting all the survivors out was a tough chore without a lot of repetition. The blood splattered guy in the Blanka mask looks totally trustworthy, right? 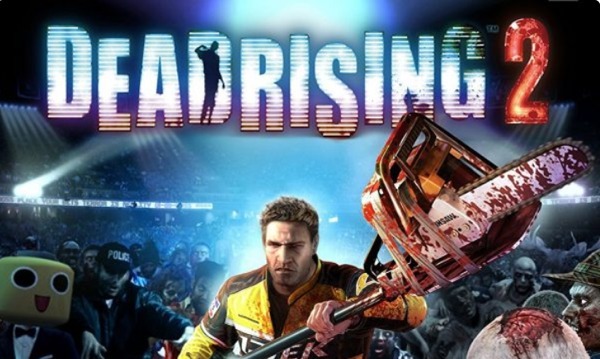 I loved Dead Rising — and I totally should play that again too — and the sequel was one that I equally enjoyed back in the day. 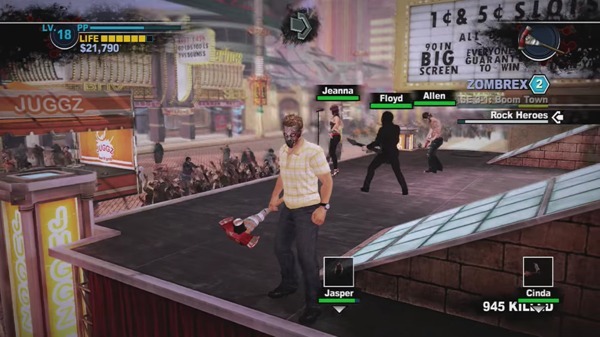 Dead Rising 2 follows the story, but switches you over to Chuck Greene, a stuntman-turned-zombie-reality-show star, trapped in as close as you can get to Las Vegas without getting sued. It’s surprising coming back to an old game you haven’t played for a few years, because some of it was very recognisable, while other elements were either details I’d forgotten, or in some cases elements I’d never found before. I wanted to try to save everyone and get the best possible ending, which meant at a few strategic points, I deliberately restarted in order to have a more powerful Chuck Greene to play with. Dead Rising 2 does still have its annoyances, especially around combat animations, which feel a little stiff and can make some boss fights a touch tedious or cheap. Antoine. 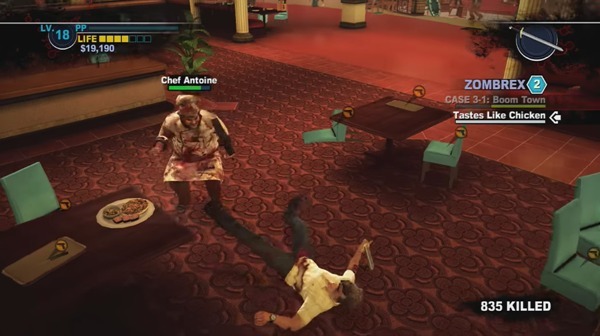 Great chef (allegedly), terribly cheap boss fight. Likewise, object detection for picking up items is a little sketchy. One easy tactic (spoiler alert!) is to build up a stack of knife gloves to take down your foes with, and there’s an easy bowie knife just outside the safe house (I won’t say where if you’ve never found it) to make one half of the mix there. But I spent far too much time trying to pick it up, shuffling Chuck around like a tank until the button prompt accepted that I was properly in range of it. 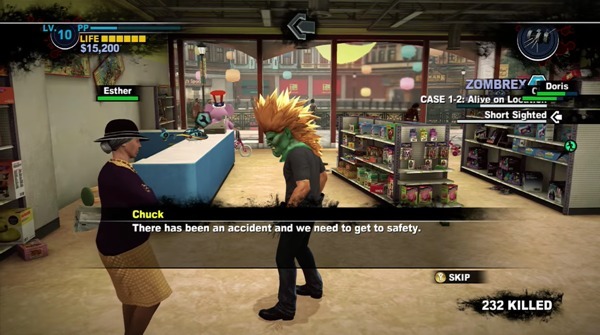 Still, the good news is that I had a bloody good time with Dead Rising 2. It does make me wonder, though. I didn’t get on well with Dead Rising 3, and gave up bothering pretty quickly with it despite good early impressions. I would say that I should play Dead Rising 2: Off The Record, because I’ve never played it at all, but that would involve buying the remastered edition — and I’m on a strict diet of not buying any “new” games, even if they’re “old” games. Same story for Dead Rising 4, too. Maybe one day — or should I not bother? Let me know in the comments below!